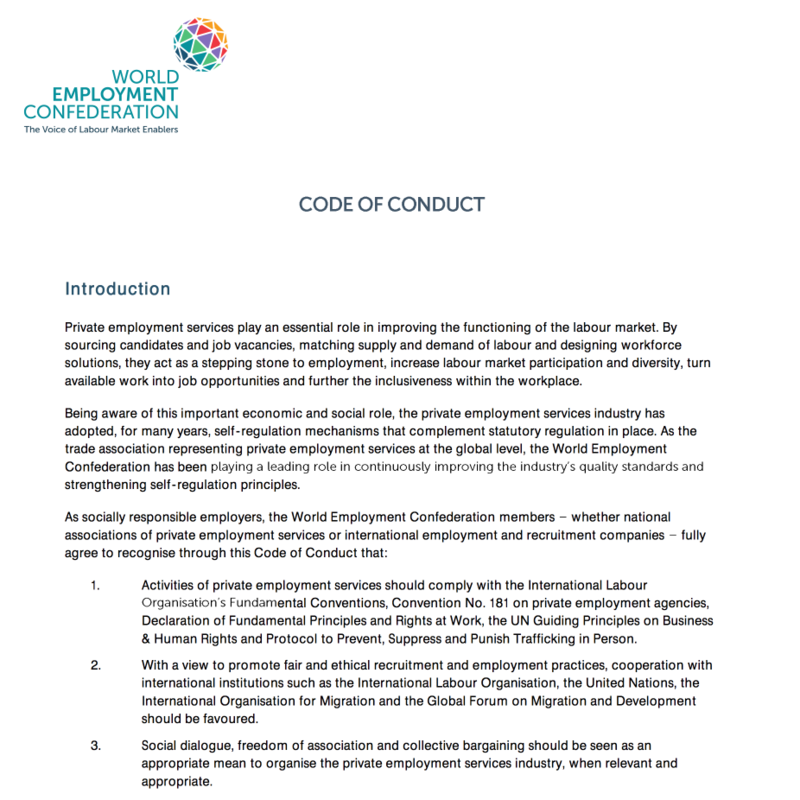 This Code of Conduct was developed by the World Employment Confederation, a trade association representing private employment services at the global level. Its members must agree to its Code of Conduct ensuring fair recruitment and employment practices. The Confederation intends to set out acceptable standards of professional practices to which private employment services are committed and expected to operate. Members are required to adhere to the Code of Conduct and promote its principles towards all relevant stakeholders.